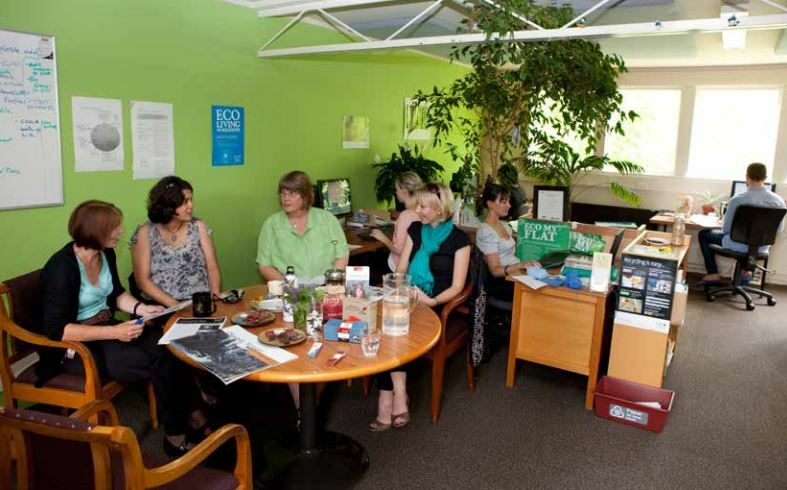 Eco Office – keen to take the challenge? The UC Sustainability Office is re-launching its popular Eco Office program, and we want you and your department to get involved with us! Even though sometimes working in an office might feel a little distant from the natural world, what we use and how we behave in the office has a real impact. You can view Eco Office a little like a health and safety checklist, but for the environment. The programme is open to anyone and everyone at the University who works in an office environment. Both staff and postgraduate students are welcome to participate in our Eco Office Programme. The Eco Office programme is a fun and educational four-step process, and includes making simple (yet effective) changes in some key work space areas: energy, transport, water, recycling and waste reduction, paper use and buying ‘green’. The best bit is, there is an optional Eco Office Certification your office can participate in because we believe recognising your sustainability achievements is important (and you get something special for your wall) Read the brief introduction to the programme here. Step Four: Get Eco Office Certified! 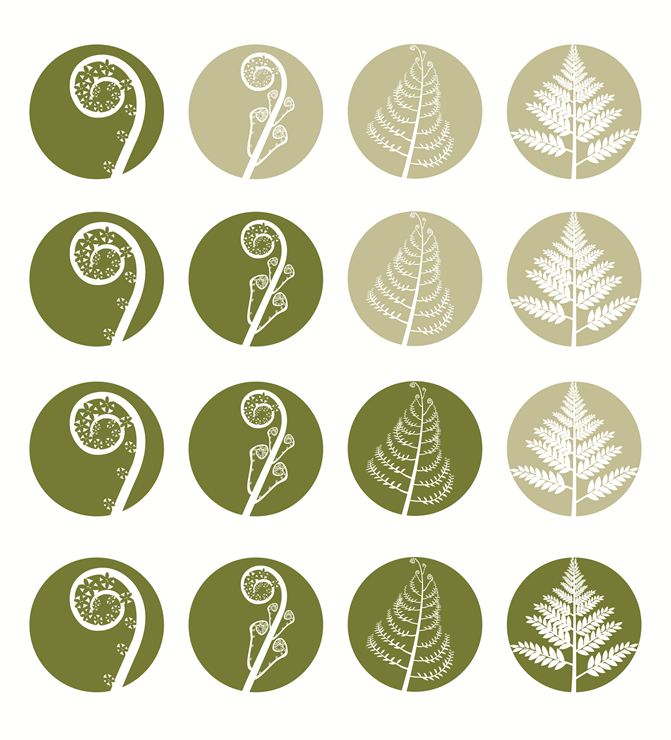 (once a baseline assessment is completed, there are four levels of certificates to achieve – called ‘fronds’. Your department will undertake the certificate journey with the help and support from the UC Sustainability Office). See an example of our Fern One Certificate here. Finally, proudly display your Eco-Office Certificate for the world to see, and encourage other departments to join you in being Eco Office Certified! You’ll receive recognition on our webpage, over our blog and social media channels, and you’ll also be able to nominate your colleagues for our 2019 UC Sustainability Awards. We’ll probably be able to reward you with fair trade chocolate and coffee too.. While we know that many of you are doing wonderful things to ‘green’ your personal and work lives already, we want to re-launch the programme as a way to officially support office-based behaviour change for sustainability. Who’s on board? Interested in learning more, or want to know where to start? Have a look over the documents above, and reach out to us. The Sustainability Office team can come and chat to you and your department, and help answer any questions you may have about becoming an Eco Office. Email sustainability@canterbury.ac.nz for more information, or how to get started. We’d love to hear from you! Missed our Edible Campus walking tour? Here’s the link to our Edible Campus Map, so you can take yourself foraging on campus whenever you like! The fruit, nuts and berries you see on campus are all free for you to forage as you wish. However, we ask you do some research if you’re unsure – some edibles may look ready before they are actually ripe for picking! You can always be in touch with the Sustainability Office if you have any questions about foraging on campus. The Sustainability Office has a long-term plan to see more food grown on campus, complementing the plantings and ecological restoration work we have been supporting. As issues of food accessibility and affordability become better understood, we are committed to proving an edible landscape for our UC community. The idea of an edible campus and a food forest is embedded in UC’s landscape master plan. We already have two community gardens on campus – those on the tour visited Okeover Community Garden with us, and we also have an allotment style community garden based at Dovedale. Interested in volunteering in our community garden? All volunteers are welcome to take home fresh produce in return for their time. See more about volunteering with us here. Found an edible on campus that isn’t on this map? Please let us know! We’re in the process of updating and refreshing our Edible Campus maps and guides. This message was bought to you by the UC Sustainability Office. Stay connected, and be in touch with us! Follow us on Facebook or Instagram, or check out our website for more information about what we do, and upcoming events. Want to cycle with confidence? Want to improve your cycle skills, without any cars around? Join the UC Sustainability Office and volunteers from Go Cycle Christchurch and UC Bike to practice your cycle skills with us. We want to see as many of our staff and students on their bikes this spring, but we want you to feel safe and confident while doing so. 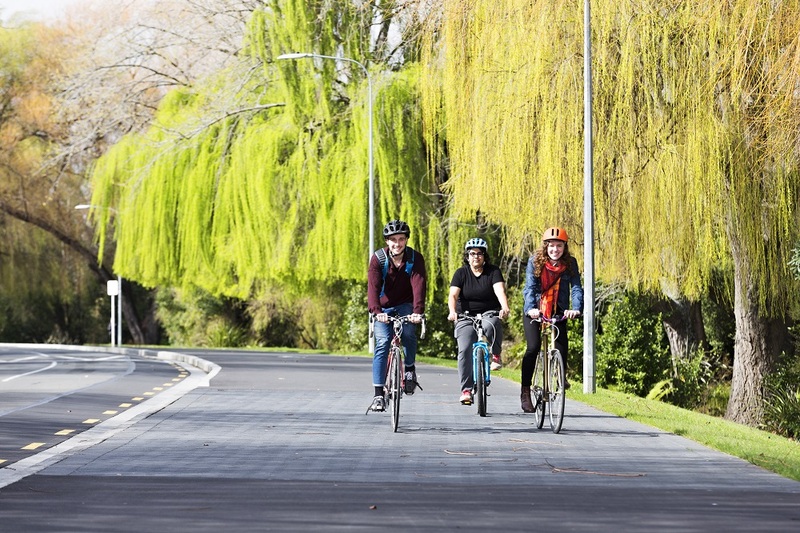 We’ve teamed up with Go Cycle Christchurch to bring you their popular city-wide cycle skills and confidence sessions to our UC staff and students. Meet us at the Ilam Fields with your bike, and a helmet 10 minutes before the session time. If you don’t have access to a bike, please let us know ahead of time, and we can arrange a bike and a helmet for you. Who: Anyone who wants to spend more time gaining confidence on a bike, away from the road. We aren’t able to safely teach anyone who has never ridden before – so we ask that you’re able to safely control yourself on a bike to participate in these sessions. What will I learn? You will be able to practice your road cycling skills, such as cycling in a straight line, looking behind, hand signals, turning corners, overtaking and a controlled zig-zag. We are limiting numbers to 15 riders per session, on a first in, first served basis. To avoid disappointment please let us know that you’re coming by by emailing sustainability@canterbury.ac.nz, and we will put you in touch with Connie from Go Cycle Christchurch. What next? Depending on numbers and interest, UC Sustainability may be able to continue running these sessions semi-regularly. As your confidence grows, we would like to be able to progress the skills sessions to include some slow and easy road riding – for example along the city cycle ways or through some small intersections. Please email us if you would like to see this happen. For more information, see the Facebook event here. We can’t wait to see you there – keep peddling! 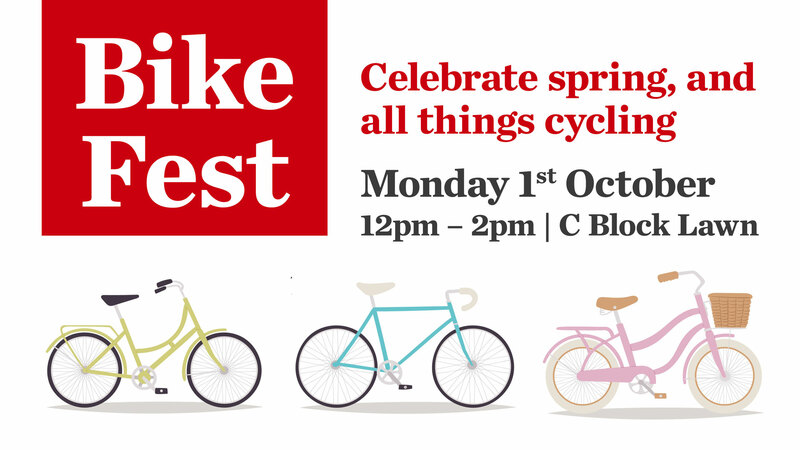 Come and celebrate spring and all things cycling with us at our Spring Bike Fest! make a pedal powered banana smoothie with the famous smoothie bike! Plus prizes, competitions and more! Who: Anyone with an interest in cycling! What should I bring? Yourself, your friends and colleagues who already cycle, your friends and colleagues who would like to start cycling to UC but don’t know where to start, your bike if you’d like it tuned, and a cup for your pedal powered banana smoothie! For more event details and any updates, please see our Facebook event here. No need to RSVP, however to get an idea of numbers please click ‘attending’ if you’re planning on coming along. Dr Bike is back for Term Four! Dr Bike is back for Term 4, and here to help get you back on your bike – just in time for spring. 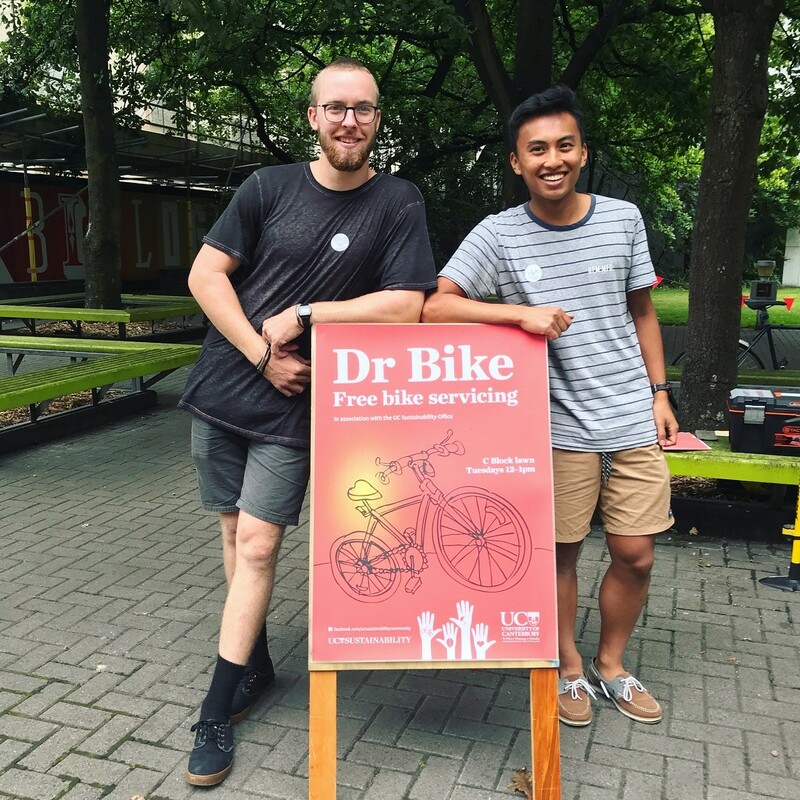 Olly and Kieran will be on C Block Lawn every Tuesday afternoon from 1pm – 2.30pm until the end of term for all your free bike servicing needs! Drop past with your bike any time between 1pm – 2.30pm on Tuesdays and they will be happy to help you out with puntures, oiling chains, and any general tuning.